4. Simple process. We ship within 24 hours. If you need to return we give you a return label. 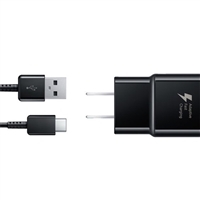 Wireless Fast Charge feature available for even faster charging speeds on Galaxy Note8, Galaxy S8/S8+ and later models of the Galaxy Note and Galaxy S series. Samsung oem Refurbished in bulk . always oem brand new products in samsung oem retail packaging and they come with the charging adapter you need unlike international version. The samsung dex dock will transform your samsung s8 into a pc experience like no other. With deX dock from samsung you can also wireless charge your smartphone from your desktop as well. You can still run your important windows and adobe so dont worry you can keep the best of a pc still. With the s8 dex station your smartphone will be at the center point of your professional career and this will help with that transformation and you can get all your work done from one central point. So if your flying around to different cities or moving from retail location to retail location you can have your central business tool in hand ready to go. The new samsung galaxy DeX Station includes all the ports you need for business or personal use including two USB 2.0 ports, an Ethernet port, a USB Type C power-in, and a cooling fan to boot. You’ll dock your Galaxy S8 in the DeX Station, charging the handset at the same time. When your all set to use your desktop samsung device you’ll be granted access to a “completely redesigned” Android UI that’s made for use with a mouse and keyboard. Have peace of mind knowing all your data will be protected, courtesy of the Samsung Knox security platform. According to Samsung. The DeX Station can connect to an HDMI compatible monitor, and can also connect to any Bluetooth-enabled USB or RF-type keyboard and mouse and with the new samsung galaxy s8 release date coming now is your chance to own a great accessory. Also included with the dex station is a cooling fan to keep your device from getting hot just like on laptops and other devices. 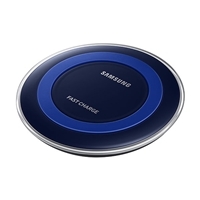 The best samsung galaxy s8 wireless charger available. You can lay it flat on the ground or have it upright on your desktop for easy smartphone viewing. Galaxy s8 wireless charger can also be used with the s8 plus and other model samsung phones.